Mexichem reduced maintenance needs and increased production capacity in one of its PVC plants when exchanging two alternately operating shell-and-tube interchangers for two Alfa Laval spiral heat exchangers. As an added bonus the extra heat recovered by the new heat exchangers resulted in annual steam savings of 110,000 euros. The engineers at one of Mexichem's PVC plants searched for a way to boost production capacity and reduce maintenance needs. Alfa Laval recommended them to switch to spiral heat exchangers and the company installed its first two units in 1998. 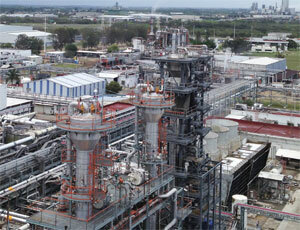 Since then six additional spiral heat exchangers have been installed in various positions in their plants. The Mexichem engineering group worked closely with Alfa Laval from the beginning of the project. “The accurate and timely support from Alfa Laval were important factors when we chose Alfa Laval as a supplier”, says Armando Obregón, Project and Construction Quality Engineer at Mexichem. The spiral heat exchanger is an extremely compact assembly where two long strips of plate are wound around a centre to form a spiral body containing two concentric channels. 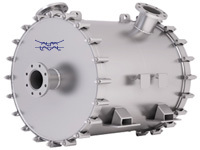 Alfa Laval is a supplier with reliable, high quality products. Thermal performance, materials, design and welding are all top class.